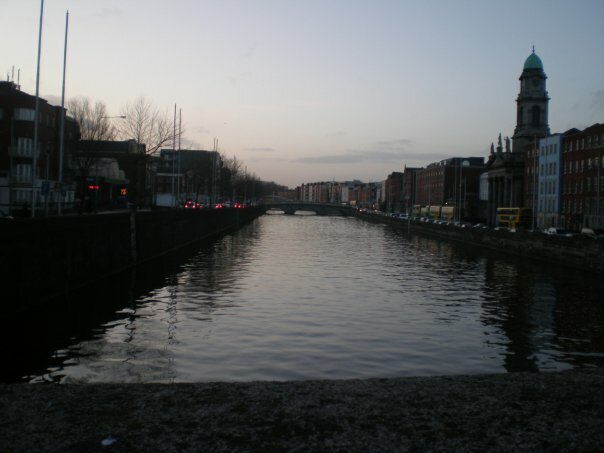 Last Fall, Deedee, Dany, Cely and I went to Dublin, Ireland to go vacation with Eliana. Eliana never made it, but the 4 of us had an amazing time. We spent the first night hitting all the liqour factories: Guinness and Jameson Irish Whiskey. I’ve decided I’m not a fan of Guinness, which will be a problem when I move there, but I do think that Jameson is probably the best whiskey out there! We planned to go out that night…yeah, that didn’t happen. We came to our apartment and knocked out. The next day we barely made it to our tour bus on time! But we did, and were on our way to Wicklow and Glendalough. The tour guide was awesome! If you ever go to Ireland and want to go outside of Dublin and are looking for a tour company, Wild Wicklow Tour is absoloutely a MUST! Not only did we stop at a very good eatery on the way up there, but the tour guide was knowledgeable and funny and had us singing at the top of our lungs by the time we were returning to the city. That night, we made it out to the Temple Bar District and I must say, the pubs are fantastic. We meet some College students and they were excellent company. Afterwards, we did what I expressly said we wouldn’t…hopped into a car with stranger and headed out of the city. It was unbearably creepy and I had flashbacks of watching Taken…obviously I did not take good enough notes, cuz there I was, sitting next to Cely, in a country I didn’t know with people I didn’t know. I wish I could say it would never happen again, but that’s probably a lie! Our last day there, Dany had to leave early and so the rest of us had an English breakfast (much like an American breakfast, except with scones…go figure) and then headed to the museum to do something else on my list. Lunch consisted of an excellently made Irish stew and once again, we passed out. Later that night, we managed to find a pub playing the Superbowl and sat around and just enjoyed being in Dublin and with each other. My experience wouldn’t have been half as wonderful without my friends. Dublin is definitely on my list of places I must visit again. Perhaps in the summer next time.